You don't have to go far and spend much to have fun (and learn arts and culture). This blogger shares with us his most memorable destinations. Affordable tickets and package tours abroad have spawned an insatiable wanderlust for this generation of Filipinos. But have we, as a people, neglected to see all the noteworthy destinations around us? Blogger and heritage enthusiast Glenn Martinez wishes to change that, one photo (and blog post) at a time in Traveler on Foot. Since 2008, Glenn has spent his weekends visiting nearby (and occasionally far-flung) cultural areas, heritage sites, provinces, and artists' homes with his son Joaquin by his side, sharing in his adventures. Unlike other travel blogs, which usually read like itineraries of tourist traps, Traveler on Foot is not only rich in photos, but in the history and cultural heritage of each place. It is also a family album of sorts, wherein readers witness Joaquin grow up, from tiny toddler to strapping teen, strolling though old churches, braving early morning hikes, and walking from one heritage house to another, learning many things along the way. "He grew up as a child who is familiar with local legends, folktales, and characters," shares Glenn. "He can sense objects and places that have history and are culturally significant." Another reason Glenn created the blog was to show fellow Filipinos that one doesn't have to travel to other countries (and spend so much) to enlighten oneself and discover new cultures. "It stems from the belief that God has given us a beautiful country and He wants every Filipino to experience it," Glenn explains. "He allowed our nation to have a colorful history so that we could get to enjoy our rich heritage and share our amazing culture with the world." 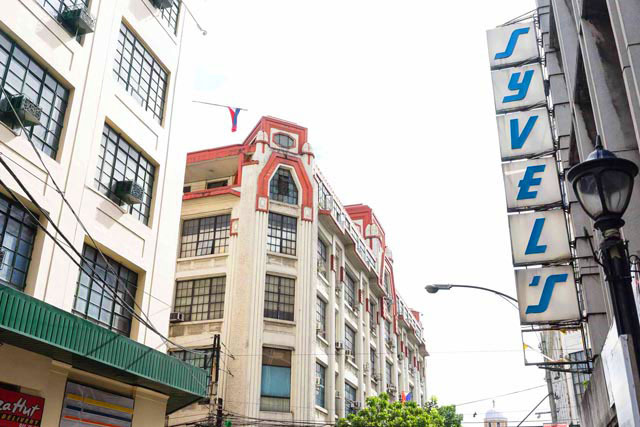 Glenn caught the Escolta in its early stages of its revival: they attended one of the first few monthly Future X Saturday Markets at the 1926 First United Building hosted by creative group 98B COLLABoratory a couple of years ago. The Saturday Market has since grown to various new creative offices, a coworking space, a hip coffee shop, and the resurrection of Escolta as a whole. “A sea of men and women in maroon clothes, struggling and inching their way to get near and touch the ancient images of El Senor Nazareno de Quiapo is a spectacular scene every January 9,” reads their entry on Quiapo and its traslacion, the procession of Quiapo church’s Black Nazarene. 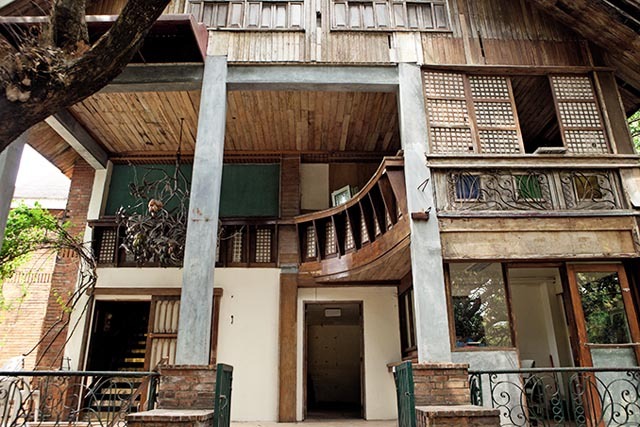 Here, both the mystical and historical side of Quiapo is explored, from the arbularyos next to the church and the Ils de tuls, to the beautiful Bahay Nakpil Bautista (above photo), and an adventurous detour to the Ocampo Pagoda and San Sebastian Church. Nestled behind UP Diliman and beside the Ateneo de Manila campuses is a park that time seemingly forgot. The mag-ama revisits this former 1950s-60s weekend destination that was once teeming with tourists and swimming pools. The park is now quiet, albeit beautiful in a mysterious way. 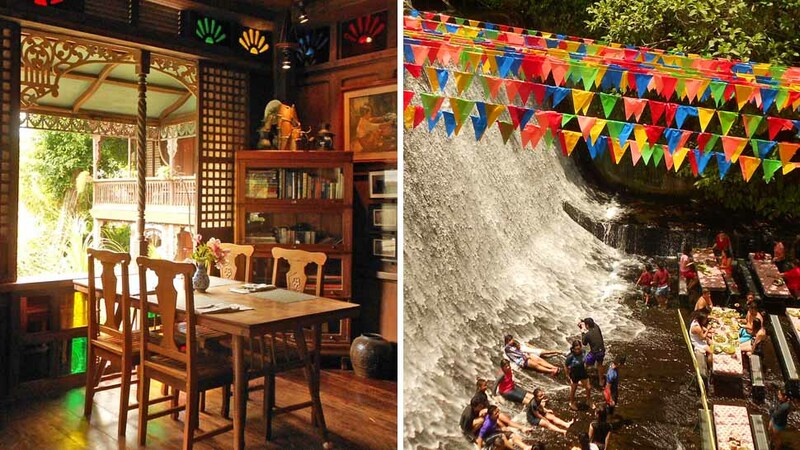 You won’t believe that this is right in the middle of Quezon City! 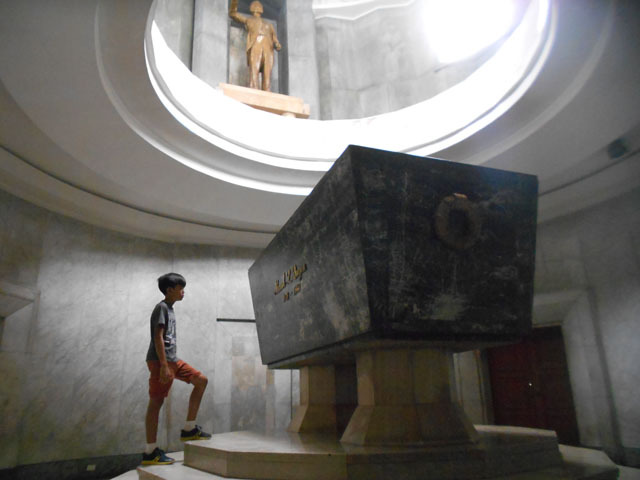 Glenn and Joaquin toured the iconic Pablo Antonio-designed University, and revealed beautifully preserved Art Deco architectural details, a magnificent theater, and Botong Francisco murals. 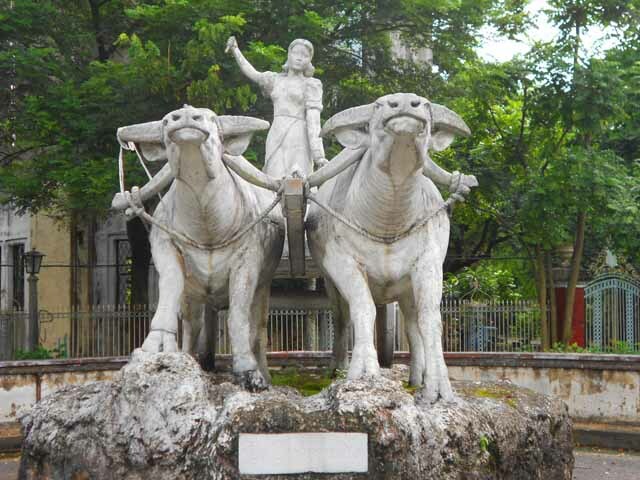 Special FEU tours can be scheduled through Ms. Mae Nerida at (02) 736-4897 or by emailing them at pcc[at]feu.edu.ph. The joggers and Zumba participants in and around Quezon Memorial Circle may not realize that there is a fine museum in their midst. In 2016, Glenn and Joaquin visited the majestic Quezon Memorial Shrine, where at the base of the pylon is a museum dedicated to the life and times of President Manuel L. Quezon. 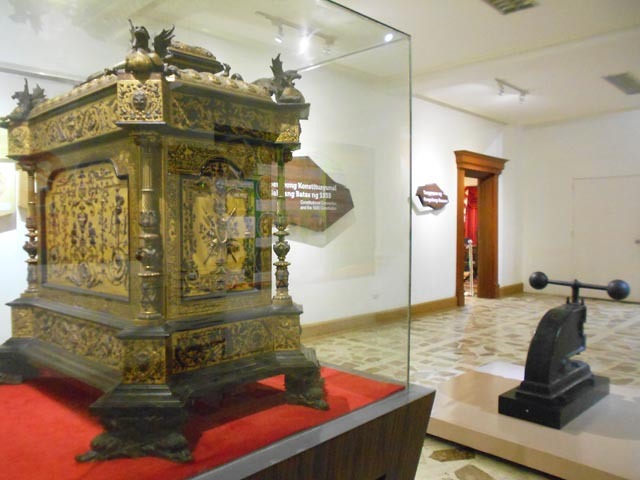 Aside from the imposing sarcophagus that holds the President's remains under an oculus, the museum holds artifacts and memorabilia from the Commonwealth era, such as this ceremonial chest which used to hold the 1935 Constitution. What if you had an immense and varied collection of Filipino art and wanted to show it to the public? 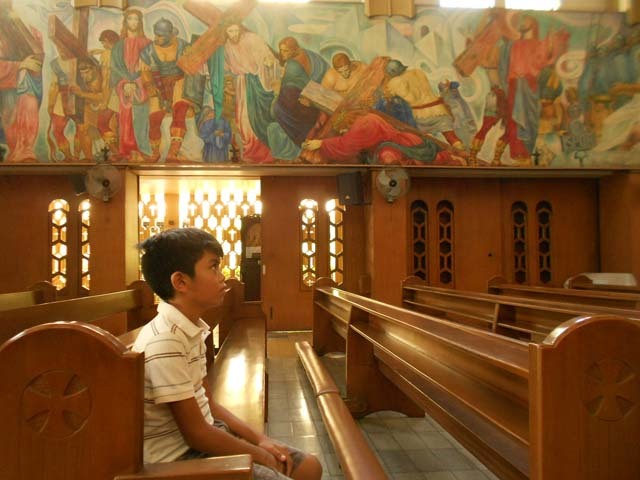 This was the initial concept of art patron Dr. Joven Cuanang for Pinto Art Museum in Antipolo, and a private villa in Silangan Gardens has since grown to sprawling grounds with multiple galleries, a chapel, and a hall dedicated to a massive collaborative mural by Saling Pusa. 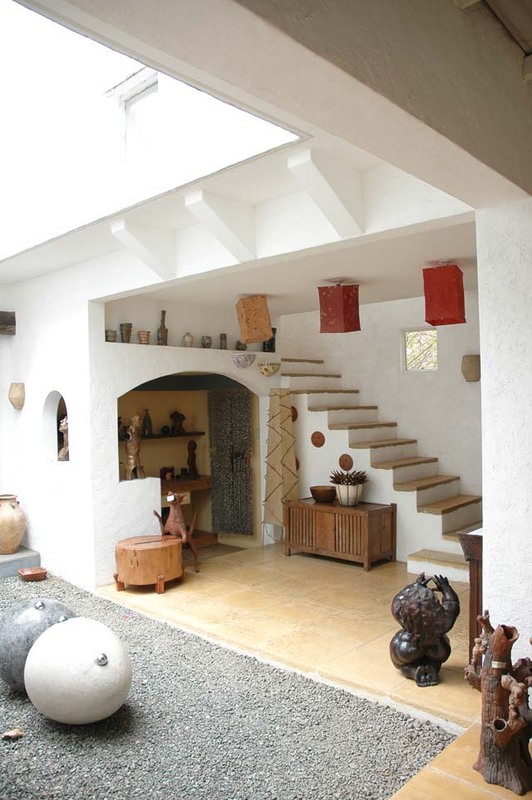 It is worth going back to Pinto every so often as there are always new and fascinating installations and artwork added. 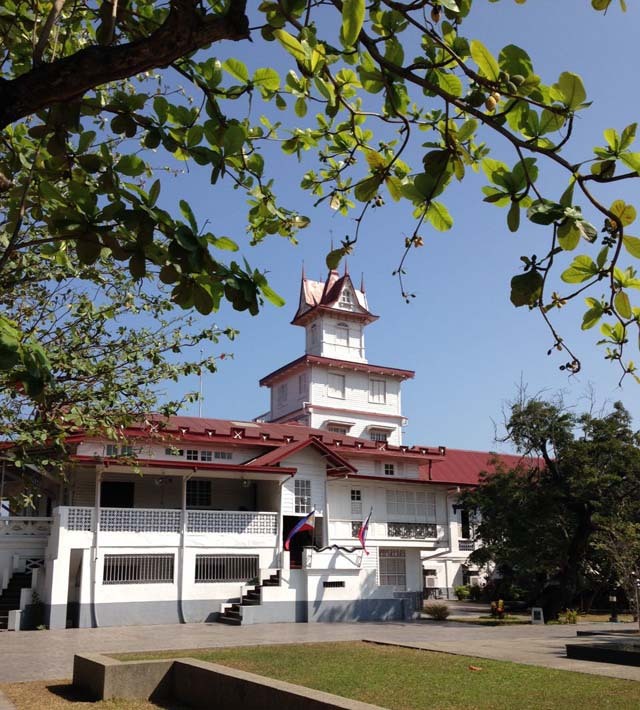 The Aguinaldo Shrine in Kawit, Cavite is usually the default field trip destination of most Filipino students, but there is always a reason to go back as an adult. 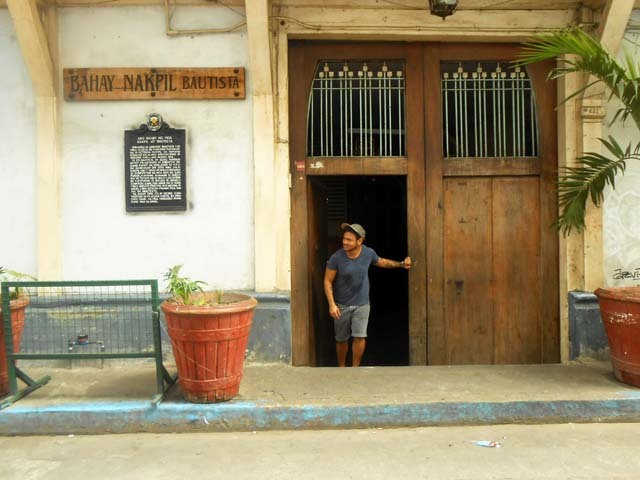 In this blog entry, we are given a peek at how the first president of the Philippines lived. The Shrine has since been renovated yet again to improve the museum on the ground floor. 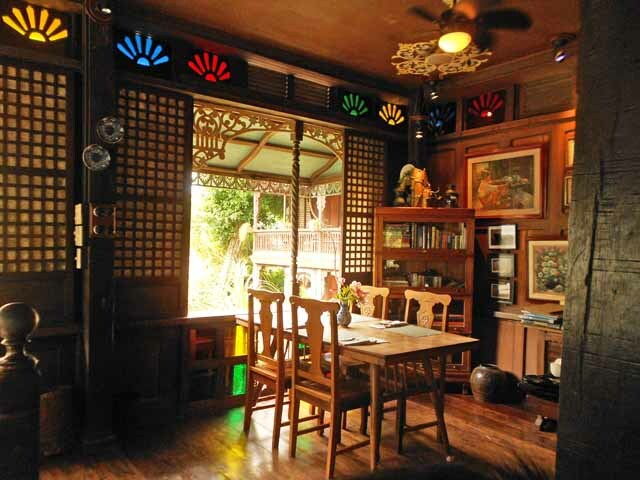 Father and son are fond of visiting ancestral homes (some of which are still inhabited), but their visit to Sulyap Gallery and Cafe in San Pablo, Laguna, was also an introspection about how ancestral houses must be preserved. Do bits and pieces of other houses comprise an ancestral home? Can they be uprooted from the original site? Nevertheless, they had fun exploring the restaurant, the various houses, and the private museum within the compound. Glenn describes this as "an art colony in Zambales," and indeed, it is. In the sprawling Bolipata compound, a mango orchard, a proper theater, a cafe, bed-and-breakfast, and even a bookstore in a trailer are there for everyone to explore. One thing that is constant in the compound is the passion the Bolipatas have for the arts, and their willingness to share it. Even Joaquin got a violin lesson. 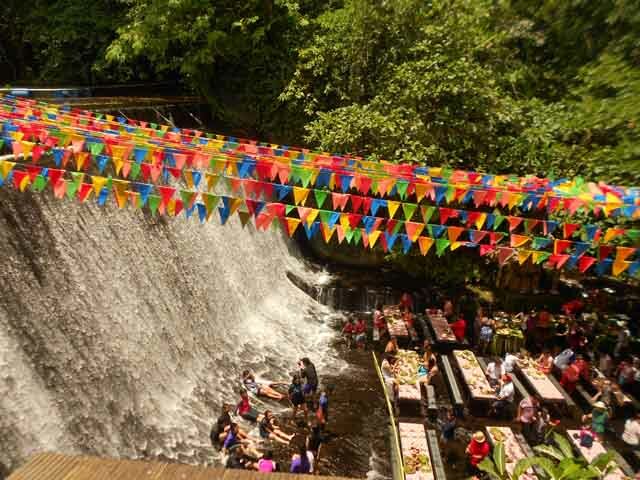 Villa Escudero is famous as a summer destination mainly for its horse-drawn karitela ride and lunch at the spillway of its hydroelectric dam. 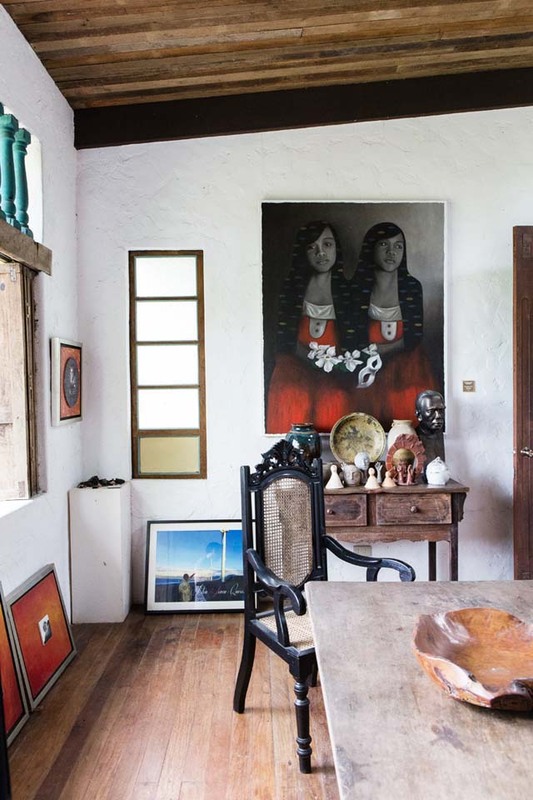 But in this post, the fascinating history of this 800-hectare hacienda is revealed. 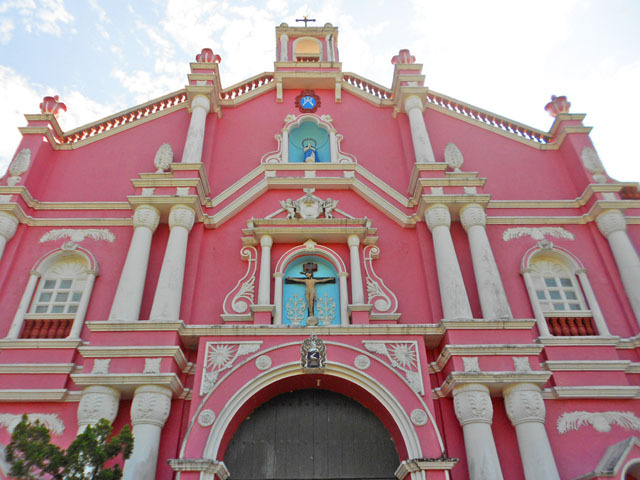 Don't miss visiting the pink ancestral houses of Don Placido Escudero and a pink replica of the San Francisco Church in Intramuros, which is a veritable cabinet of curiosities and artifacts. Click on Traveler on Foot for more adventures, or take a peek here at Glenn's home.